no offense, but i am thiiiiiis close to just starting to skip your articles entirely, due to some rank nonsense in every one. today’s menu: noxious vapors does the opposite of what you think it does, and isn’t very good anyway in the format you tout it for. 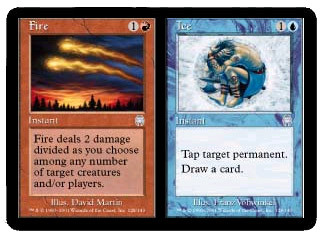 orim’s chant: after reading this I began to doubt you’ve ever even watched a game of EDH. In fairness, I *have* stopped playing EDH- partially due to an overly litigious rules committee, and partially due to the local EDH crowds. These sets were much more difficult to approach (largely due to what I outlined last week), and they really don’t have the contextual nuance that any Modern-legal sets have. Bad rares either have potential or are worthless forever.